Press reports since summer have said GM was looking to replace CFO Ray Young. DETROIT -- Ray Young, whose future as General Motors Co.’s finance chief has been in question for months, today was named vice president of international operations. Young, 47, will report to international President Tim Lee beginning Feb. 1, GM said in a statement. Young will lead the unit’s finance activities and have other roles “clarified in the near term,” GM said. The international business comprises Latin America, Africa, the Asia-Pacific region and the Middle East. Young will remain GM’s CFO until a successor is named. Press reports since summer have said GM was looking to replace Young. Whitacre told reporters last week that GM has “a real good candidate” for a new CFO and could have news about the appointment before the end of the year. Young became CFO in March 2008, taking over for Fritz Henderson. Henderson was ousted as CEO this month, and his predecessor, Rick Wagoner, was removed in March by the Obama administration in advance of GM’s Chapter 11 filing. Young began his career with GM working in finance at the automaker’s Canadian headquarters in his native Ontario. In 1988 he moved to GM’s treasury operations in New York. 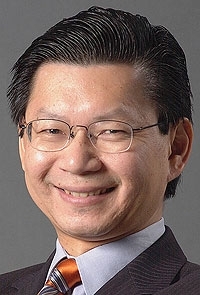 Young later worked as GM’s European regional treasurer and vice president of finance for CAMI Automotive, GM’s former joint venture in Ontario with Suzuki Motor Corp.
Young’s CAMI experience led him to take a position in 1998 at Suzuki’s headquarters in Hamamatsu, Japan, while he was a member of GM’s Asia-Pacific strategy board. He returned to North America in 2001 to become GM’s CFO for the continent before moving to Brazil in 2004 as president of GM do Brasil. Young received a bachelor’s degree in 1984 from the University of Western Ontario and a master’s degree in 1986 from the University of Chicago.